* Total number of reviews and star-ratings are based on data collected during the time period Murray-Heutz Oil and Propane has been using the ReviewBuzz system and may not directly match the data found on each public review site. Very happy with service, great techs. 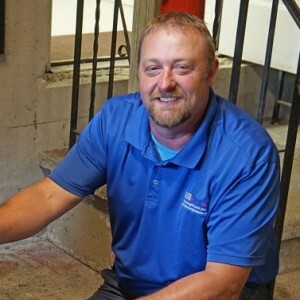 Shon was very helpful and informative at to steps we could take to keep our boiler running at maximum capacity. We hadn't had it serviced in some time and when he left it was purring like a kitten! Very polite and professional as well! Thanks Shon and Murray Oil for the great service over the years!! I made an appointment to get my furnace cleaned in November or December. The earliest possible date for me to get a cleaning was March 22. I took the appointment, because what else could I do? The appointment was for 7:30AM. I made special arrangements with my boss to arrive to work a little later than normal on that date. When the day finally came, I waited until approximately 7:50 for the service technician to arrive to my home. Upon asking him why he was late, he replied that he didn't want to wake me up. I was very unimpressed with this lack of punctuality and disregard for my time. The technician appeared to perform his job duties well. I have no complaints other than the lack of punctuality. I found a gas leak on the new tank. Murray did fix the leak on a Sunday. I like the service and fast response, however gas is dangerous. The crew did a great job getting another tank installed in place. It wasnt an easy task given the amount of snow and distance to the existing tank. Thanks guys! Zach did a wonderful and professional job cleaning and checking our furnace. He explained all that he had done. We look forward to seeing him again next year. Not sure what happened to Murray-Heutz oil, In the past had great service and they knew what they were doing. (6 years ago) I am currently the facilities director for Rumford Community Home and they have been doing basic service boiler cleaning, etc. I asked them to quote me for fuel purchasing contract based on 25,000 gallons a year! Also have renovations to hot water system to quote. I chased and chased without the decency to return my calls until I went to the board of directors before I got reaction. After chasing again I receive an email stating they will not handle my account after they left me hanging for at least four months. Sum it up, if someone called me to buy 25,000 gallons of fuel I'd be on it in a hurry! Very disappointed in Jeff Bilodeau, Doug Sanders and Dennis O'Brien of Murray-Heutz oil company. Had to change my hot water coil and a part broke. Dave came over after 5PM to see if he could fix the part and had the required parts which saved the day. We were back up an running. We have been with Murray Oil for 25 years and really value their service. It is always a pleasure working with the Murray Heutz Oil & Propane Team. They are dedicated and quick to get problem fixed and things back in working order. Very accommodating! Thank you!! Very nice service and good people ! Fair to poor rating. Estimated job at a very high price. I complained and they reduced price by $200. It's a good thing I complained. Also job site was not cleaned properly, and they failed to adequately fill gap around fill pipe leading from outside to basement. Fro the basement you see about a 1/2 inch of daylight around the fill pipe where it entered the basement. I had to fill the gap with foam insulation. Not happy with job. 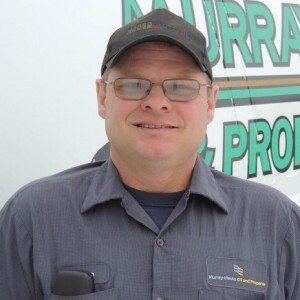 Customer service is always a top priority at Murray-Heutz Oil and Propane. Our BBB Membership rating is like a badge of honor as we continuously strive to provide the best experience for our clients.